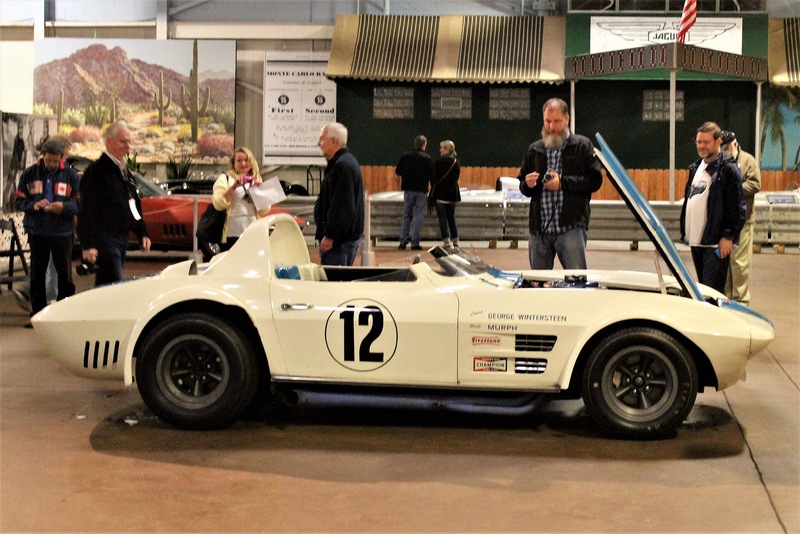 After our terrific experience visiting the Simeone Museum in September 2015, it was a great pleasure to return a year later for what looked set to be another outstanding event. 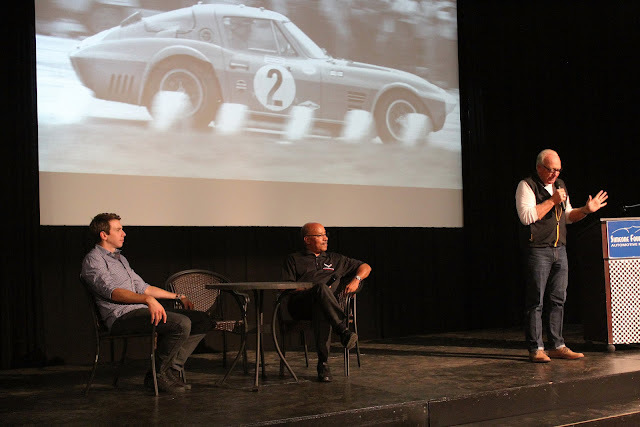 The Corvette Racing Weekend was an opportunity to hear about Corvette Racing's 2016 season from Doug Feehan, the team manager, and Tommy Milner, one of the C7.R drivers, as well as to see the museum's fabulous 1963 002 Grand Sport Roadster actually being driven. As we were to learn, there were other surprises in store. 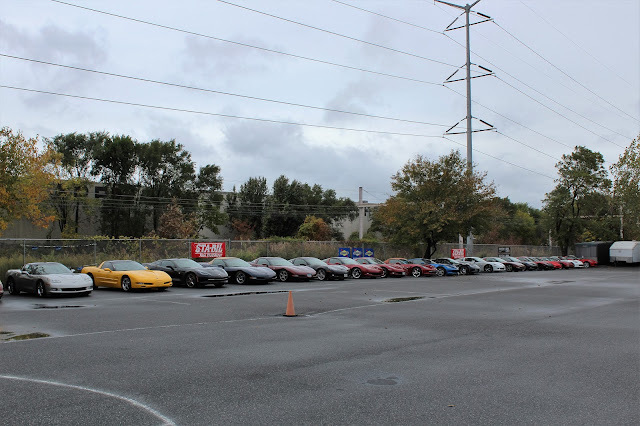 On Friday evening we drove from our nearby hotel, close to the Philadelphia Airport, to the museum and joined the line of Corvettes that were in the big parking lot. The evening began with a nice buffet dinner and we found ourselves a seat at a big table near the stage so that we could enjoy the talks after dinner. 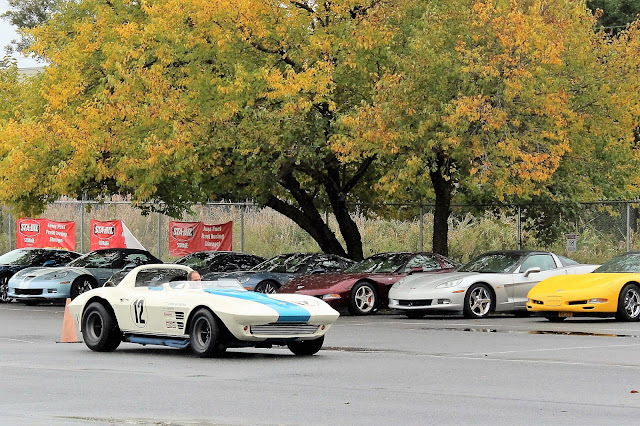 The other people at the table were an interesting group, including two men who had come from Pittsburgh and had several vintage Corvettes. 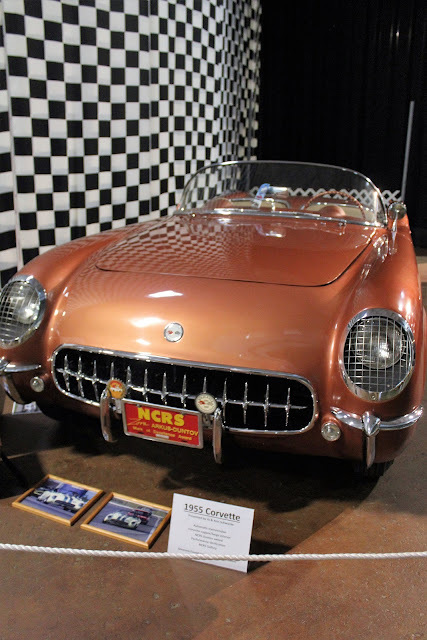 Directly next to us was a friendly older couple from nearby and we were delighted to learn that it was George and Gretchen Wintersteen. 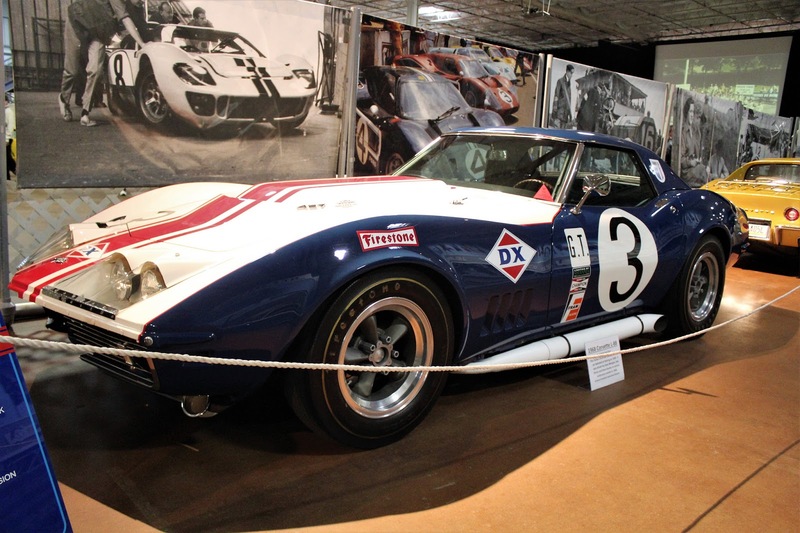 George had raced cars for Roger Penske and had purchased the Grand Sport from him, campaigning it in 1966. 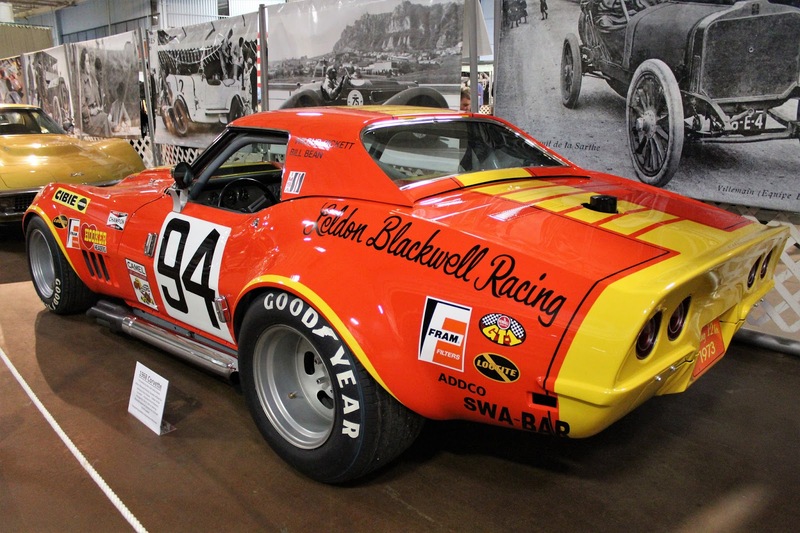 His final race with the car was at Mosport that year but the car was really not very competitive at this point. 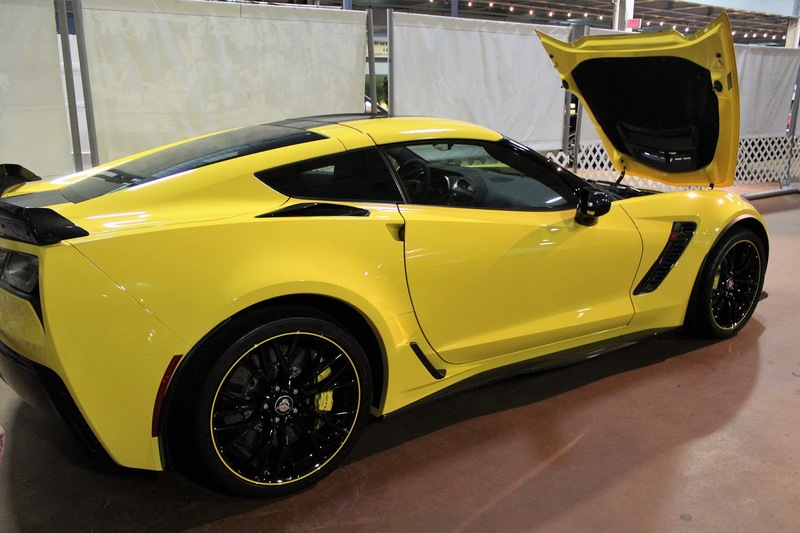 He sold it onward for $6,700 and felt he had gotten the good end of the deal. Of course, today he regrets not keeping it! Another couple at our table were John and Cathy Sloan and I spoke at some length with Mr. Sloan about the gorgeous orange Leldon Blackwell Racing 1968 Corvette L-88 race car that he had had restored and which was shown at the L-88 class showing at the Amelia Island Concours in 2015. It was only display at the Simeone Museum with the other cars and looked a lot better than in probably did back in the day when it was built up from a wrecked 1968 convertible. 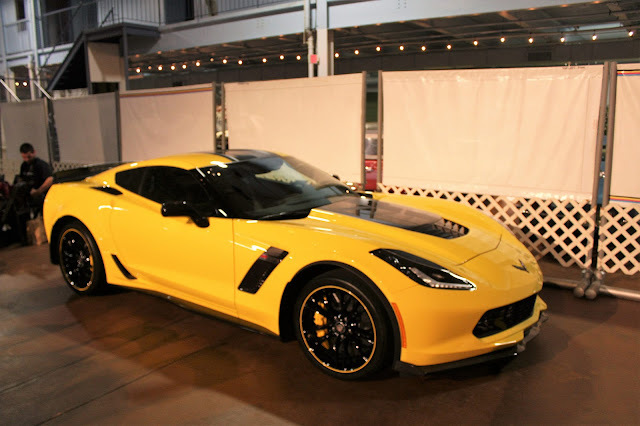 The car was front and centre and there was also Z06 C7.R Edition car as well (basically a C7 Z06 with cosmetic enhancements, including a lot of carbon fibre and the Z07 performance package). My chance to pose with a star! 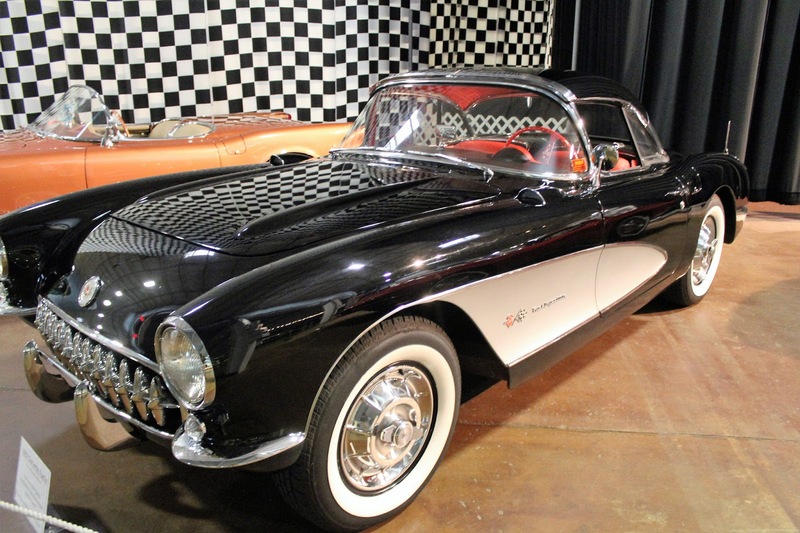 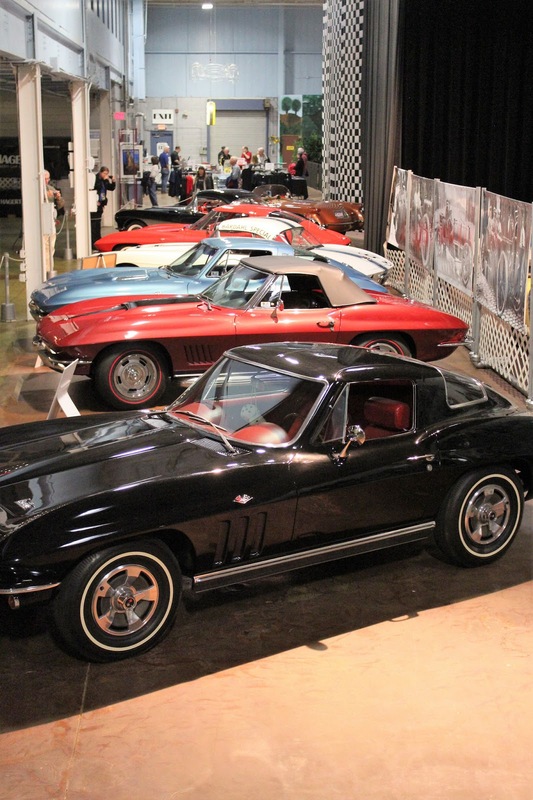 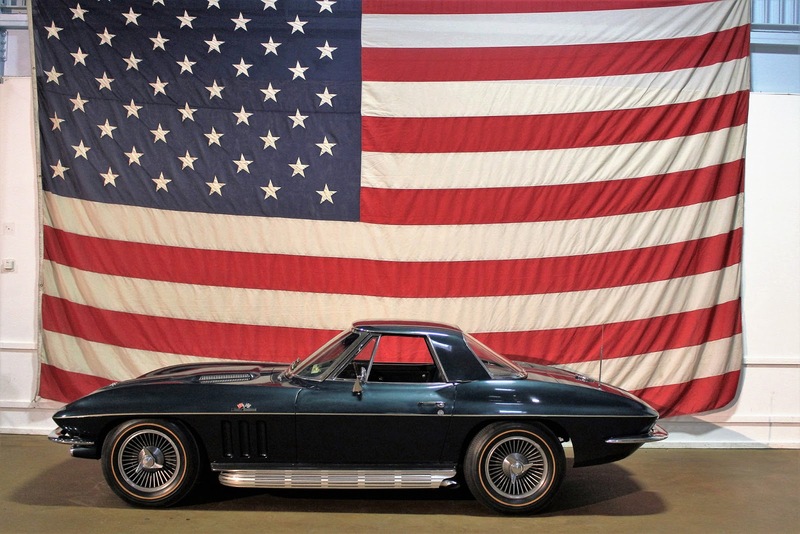 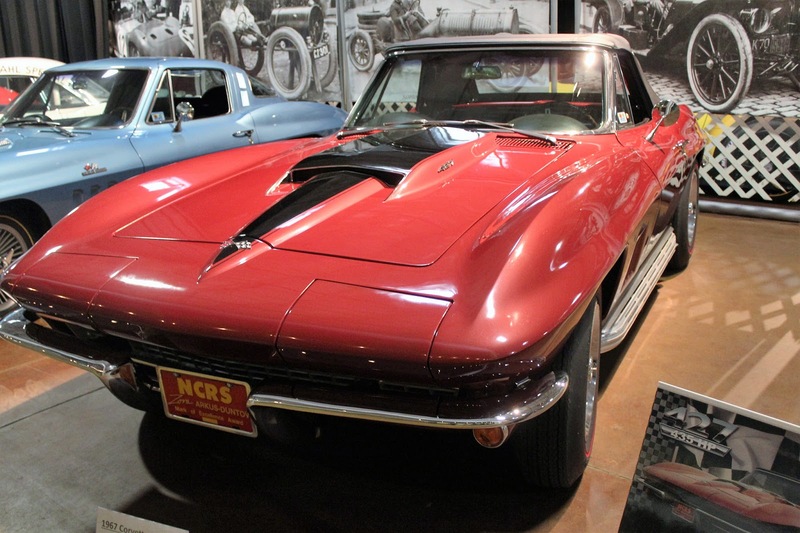 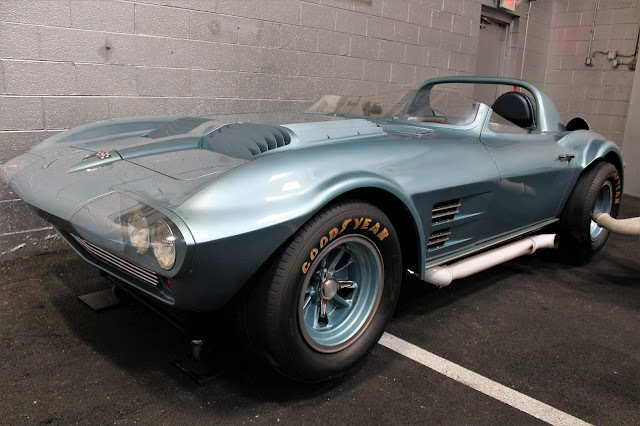 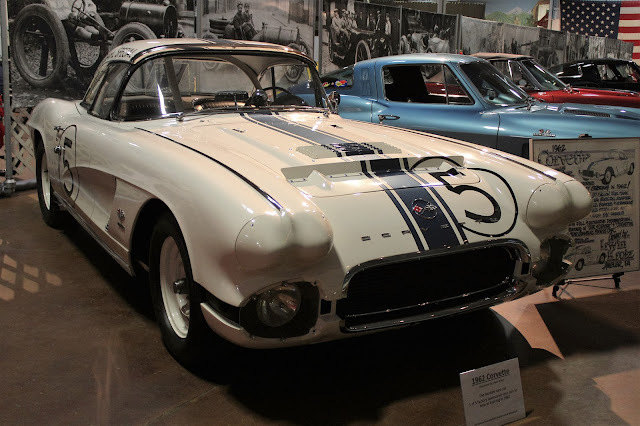 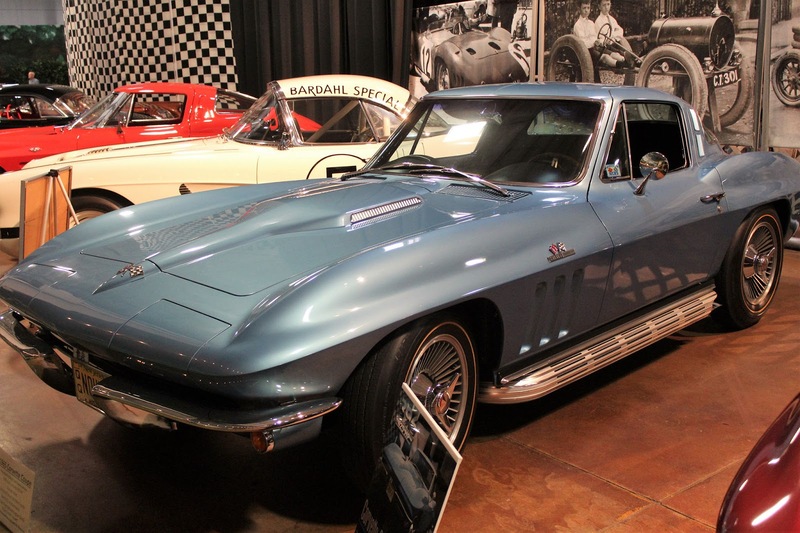 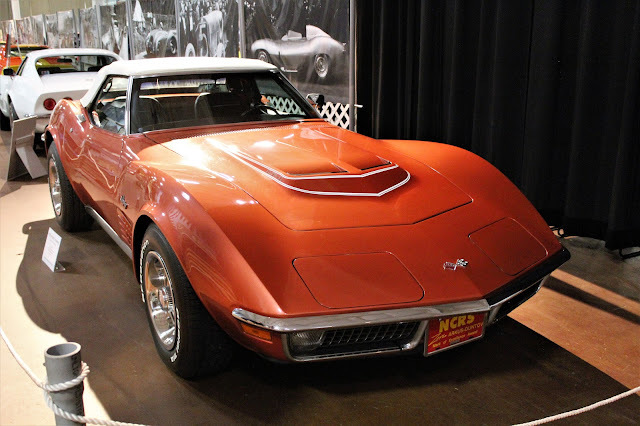 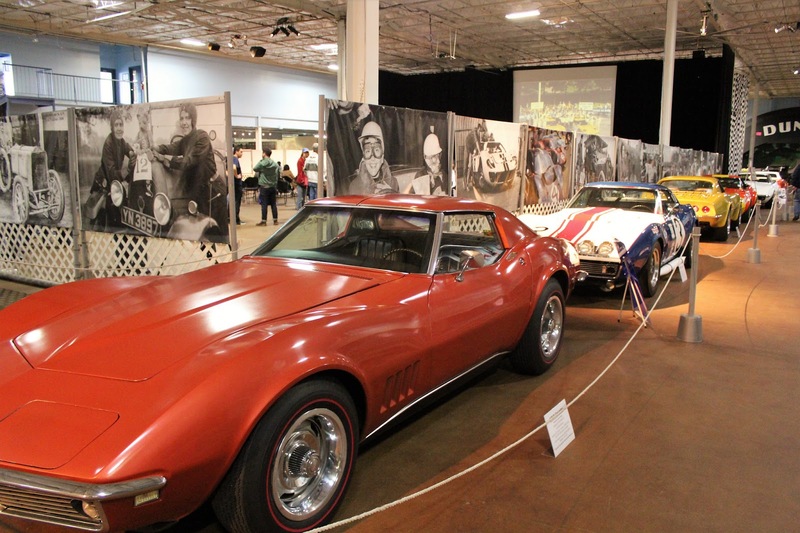 We also had the opportunity to look at a special exhibition of Corvettes that had been organized by the National Corvette Restorers Society (NCRS), showcasing a number of rare and/or historically significant cars. 1968 Corvette, used by Zora Arkus-Duntov for testing, finished 2nd at Daytona Presidential 250 and 16th at 24 Hours of Daytona. 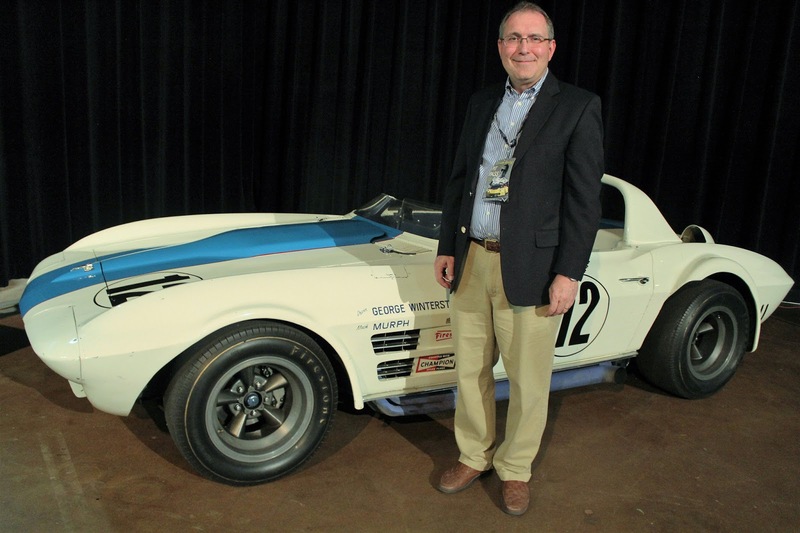 It was awarded a special prize for reaching 222 mph at Daytona. 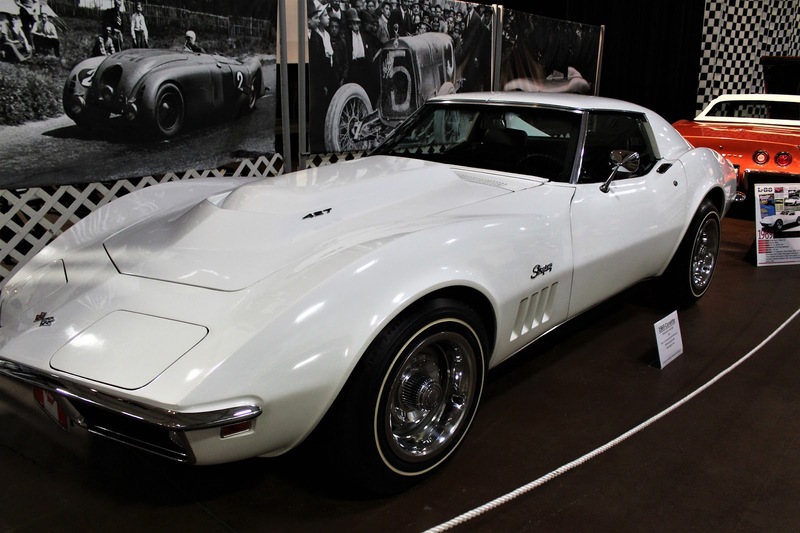 Restored to as-new condition, it was shown at the 2015 Amelia Island Concours d'Elegance when L-88s were honoured. 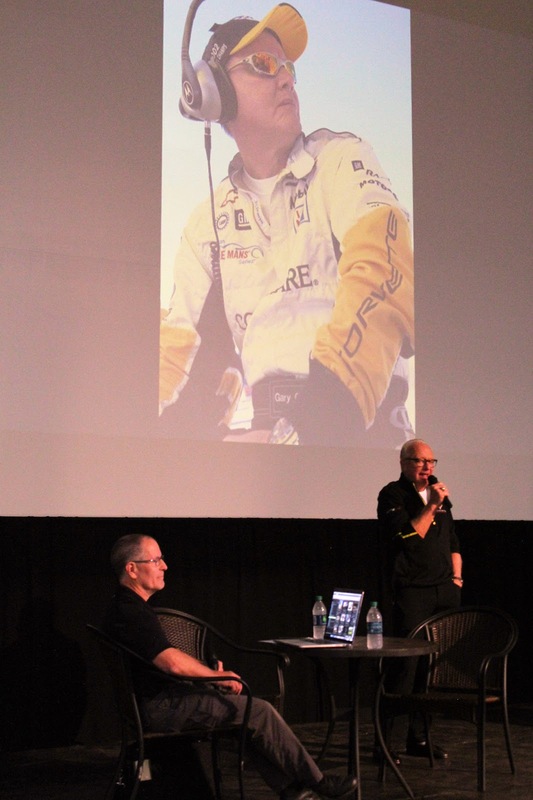 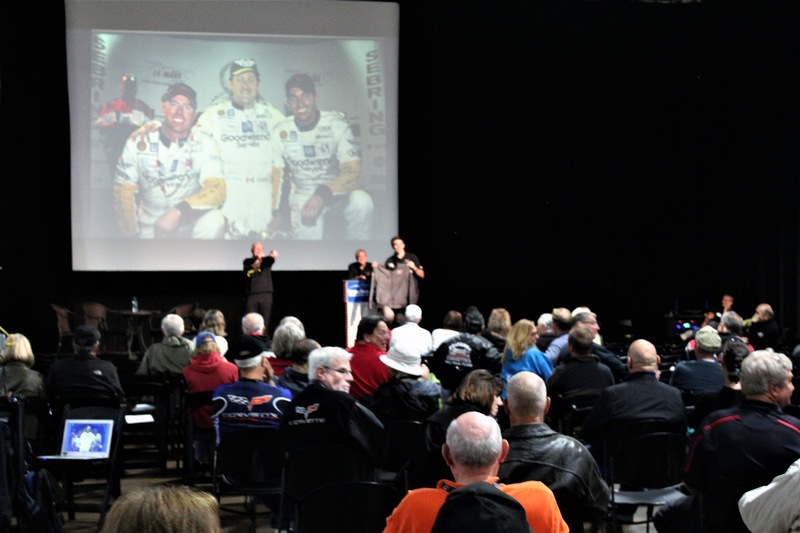 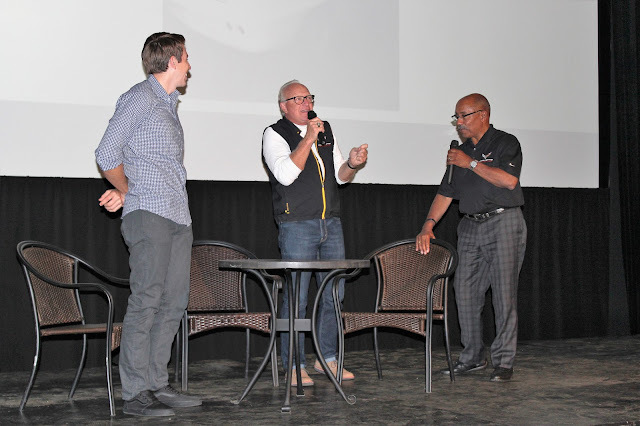 After dinner there was a lively talk given by Corvette Racing program manager Doug Feehan, along with driver and 2-times LeMans class winner Tommy Milner, about the team's 2016 season, both its ups and downs. 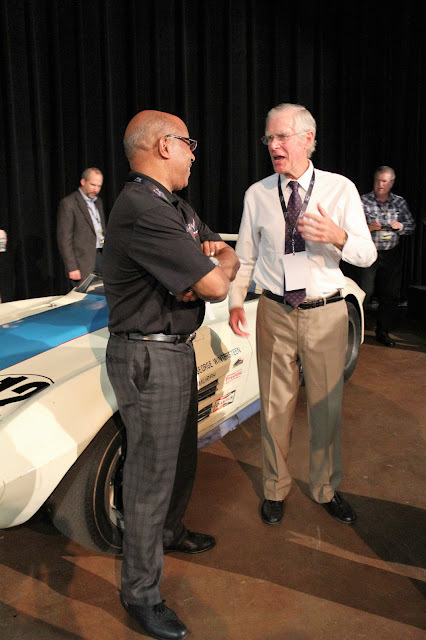 They were joined by Ed Welburn, who had served as General Motors' Vice-President of Global Design from 2003 to his recent retirement in 2016. 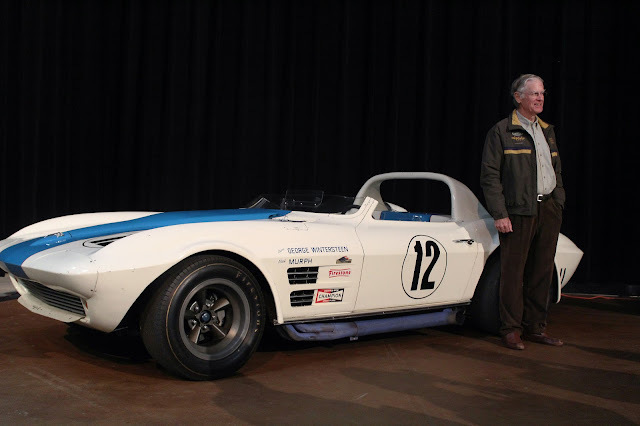 Heavily involved in the design of the C7 Corvette, he spoke about taking his Corvette to Europe, where he saw the Mille Miglia vintage rally and then went on to LeMans. 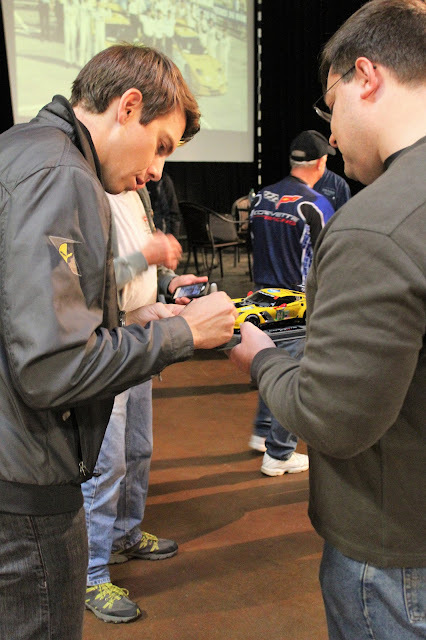 After the talks ended, guests had the opportunity to meet everyone and get autographs. We got two: one marking the 100th victory by Corvette Racing, and a smaller one of Doug Feehan as a museum fund-raiser. 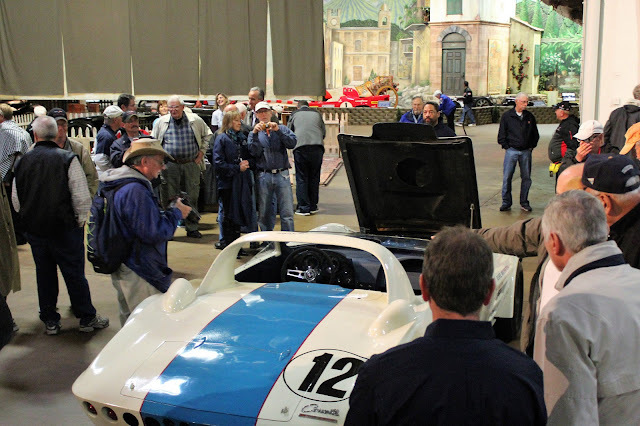 Returning on Saturday to the museum there was a bit more of the same as a larger group attended and Doug Feehan and Tommy Milner gave an abbreviated version of the previous night's talk, with a bit less of the controversial stuff (i.e., "Have you ever actually seen a customer Ford GT?"). 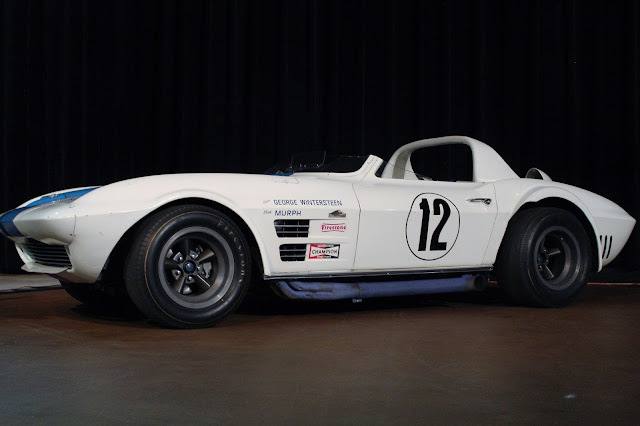 Ed Welburn had departed but was replaced by the extremely interesting Richard Prince, a Corvette guru and professional photographer who has been the official photographer of the team since its beginnings in 1999. 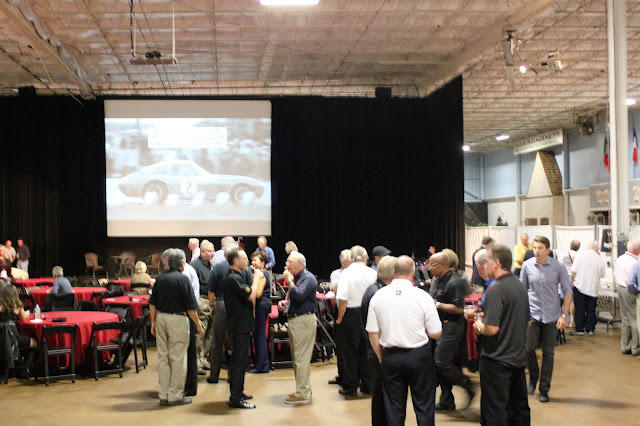 He had an impressive slide show of all the different iterations of Corvette race cars and great photos of events like LeMans. 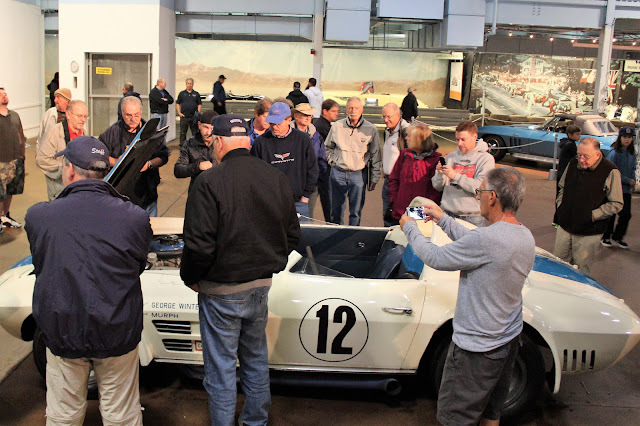 There was another autograph session and as well George Wintersteen returned and spoke about the Grand Sport's history and his racing experience. 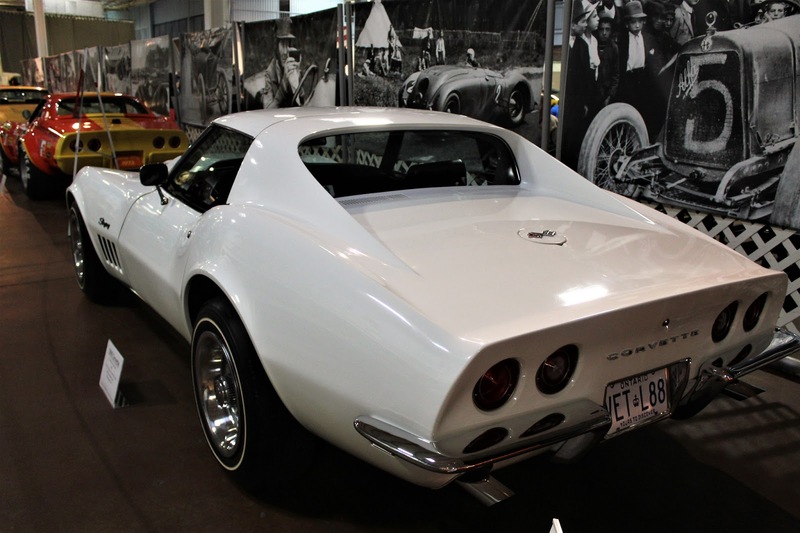 The car was then moved into the centre of the museum so everyone would be able to get a good look at it. 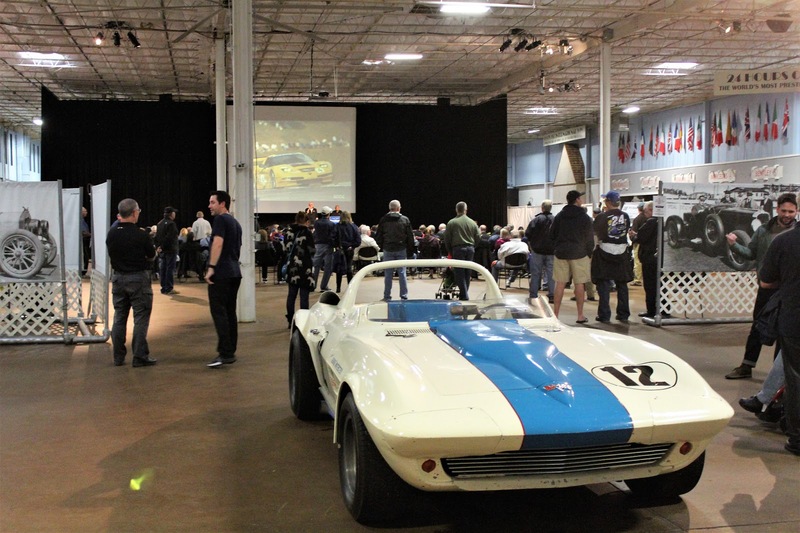 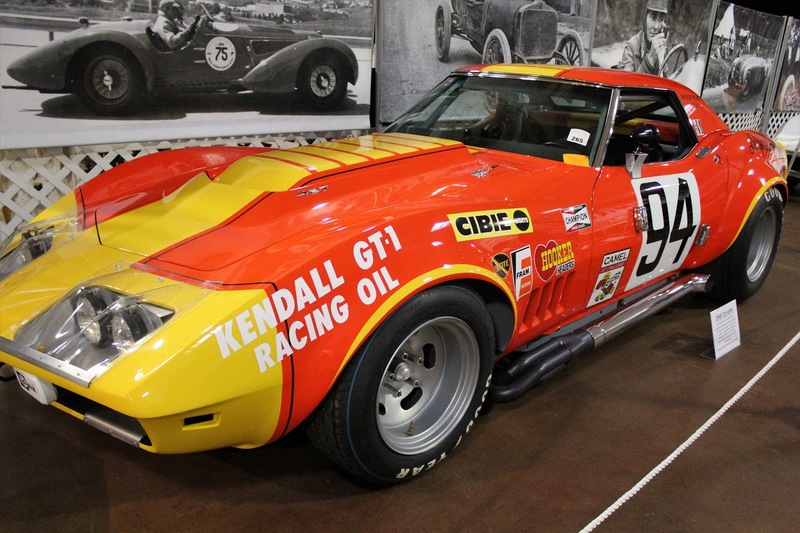 This was followed by an auction to benefit the museum, with excellent Corvette Racing memorabilia including drivers' suits and even preserved motor oil. People came to spend money and Tommy Milner was not able to outbid someone for his own Corvette Racing jacket! 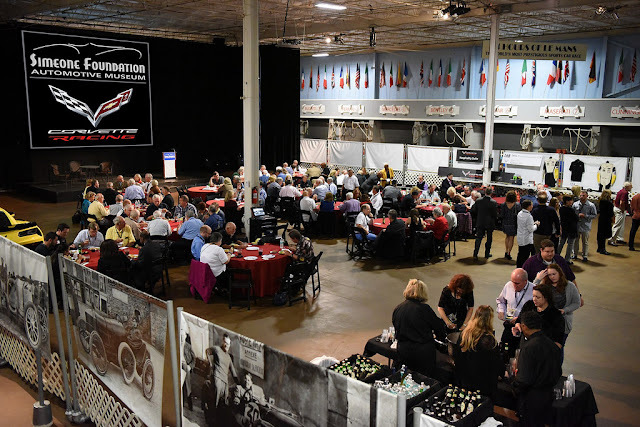 Doug Feehan served as MC and auctioneer and was very skilled in getting the bids pushed up. 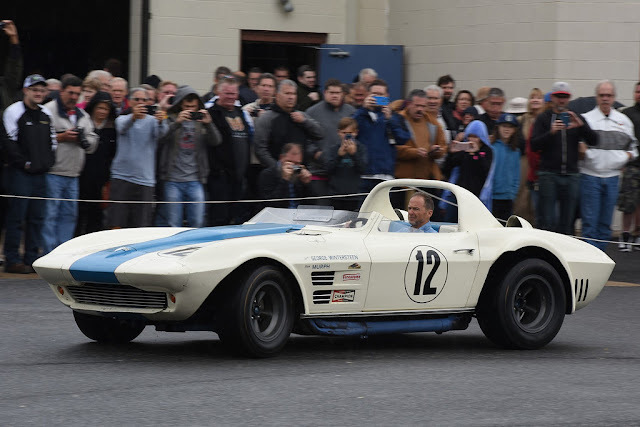 Of course, the next highlight of the this great weekend was the 1963 Grand Sport, which was started up and driven outside to an appreciative audience. 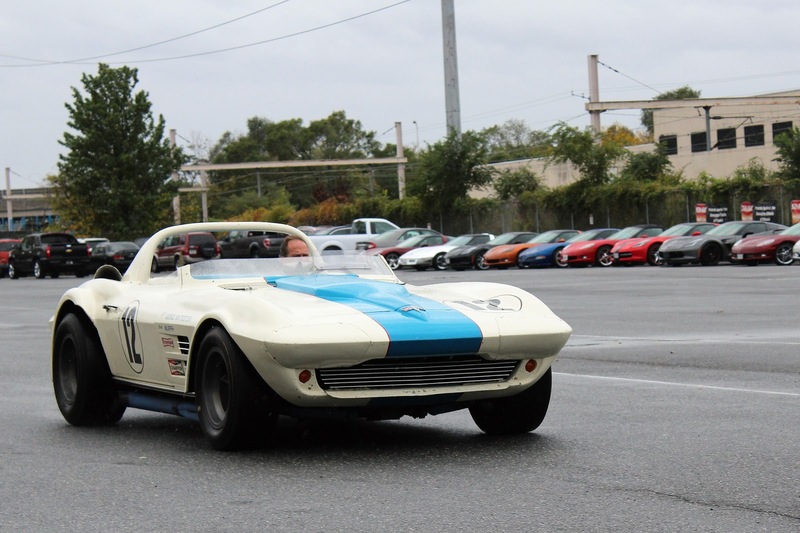 The car is impressively noisy and the ground shook as it went by. It also looked pretty marginal in terms of handling as the back end was swinging quite a bit. 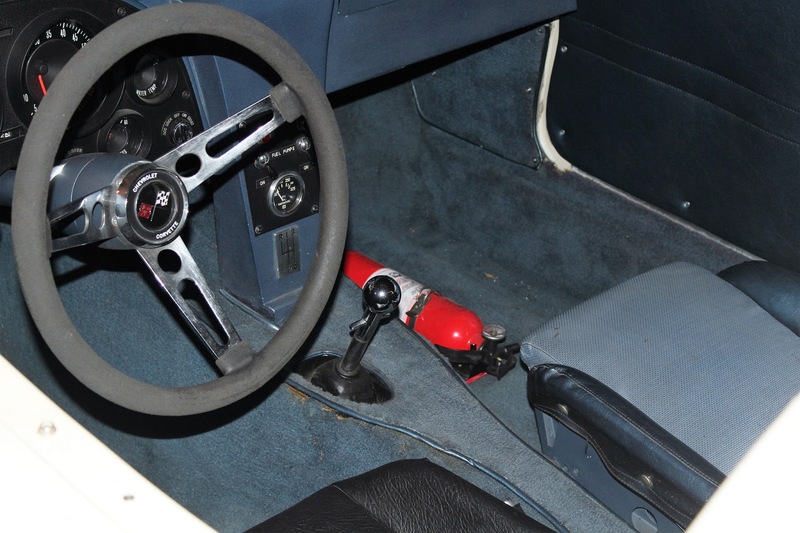 The demonstration driver seemed to be having a good time and he was later joined by a lucky passenger who won the draw to ride in the car. 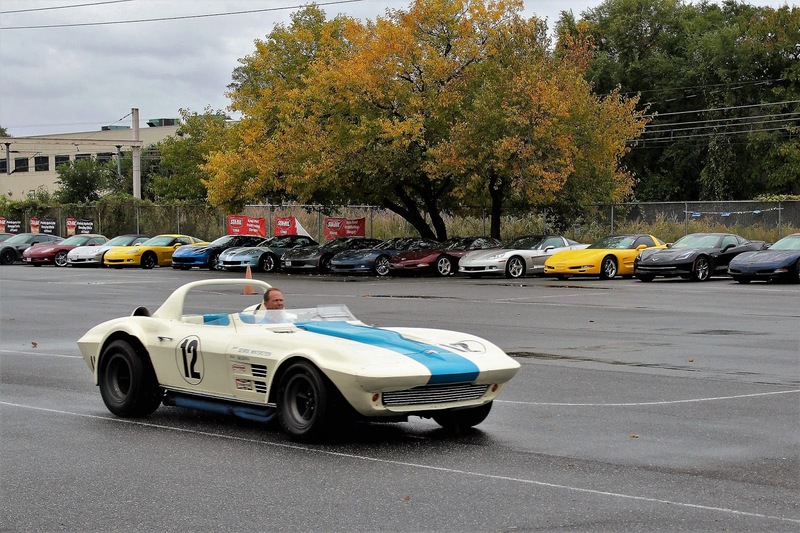 The Simeone Museum Demonstration Days are unique opportunities to see (and hear!) 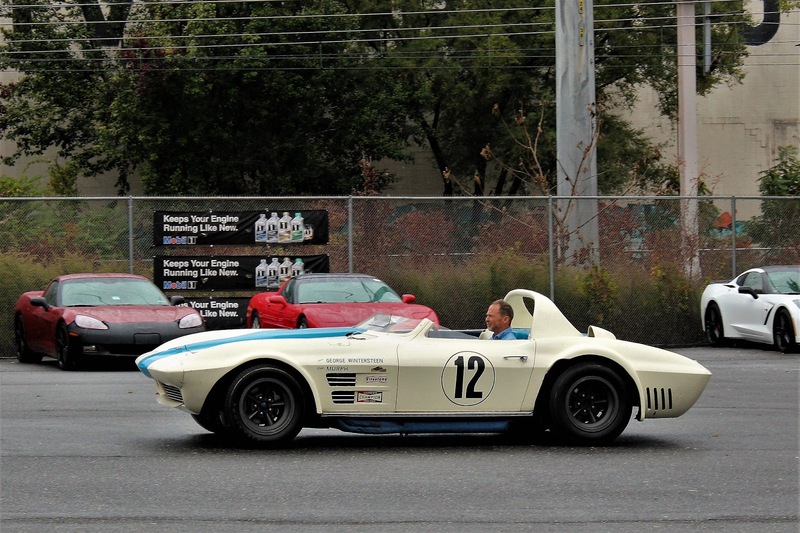 classic sports racing cars in operation. 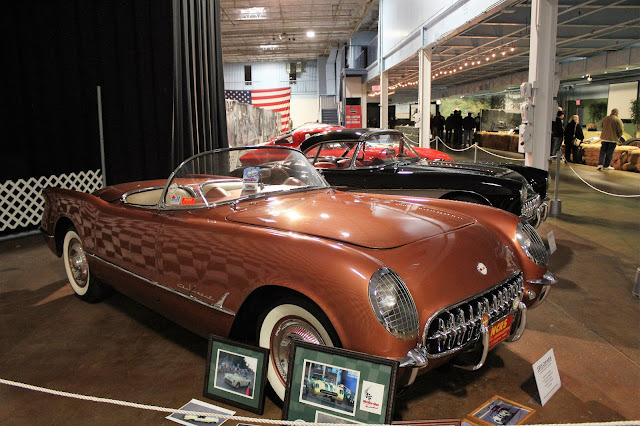 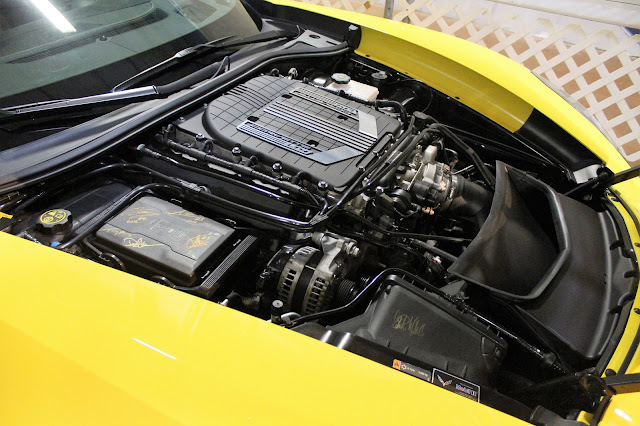 The Grand Sport is a special car, being one of only two roadsters, and one of only six Grand Sports ever built, of which five still exist in careful hands. 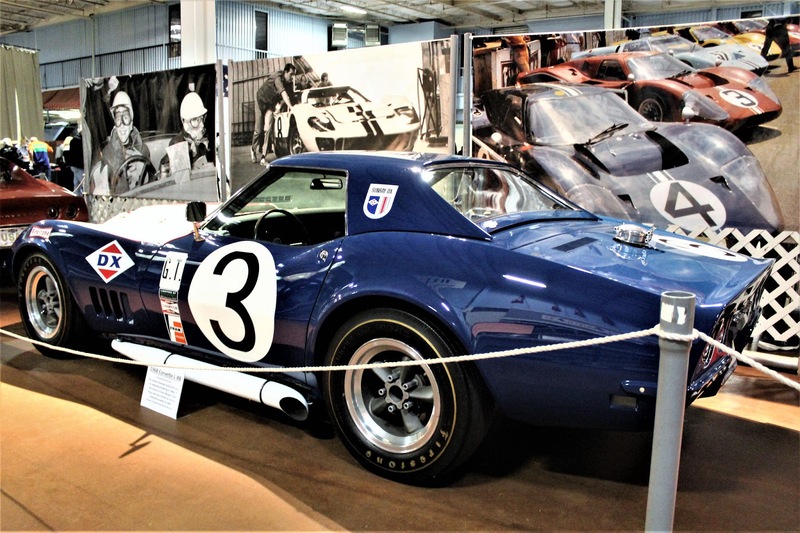 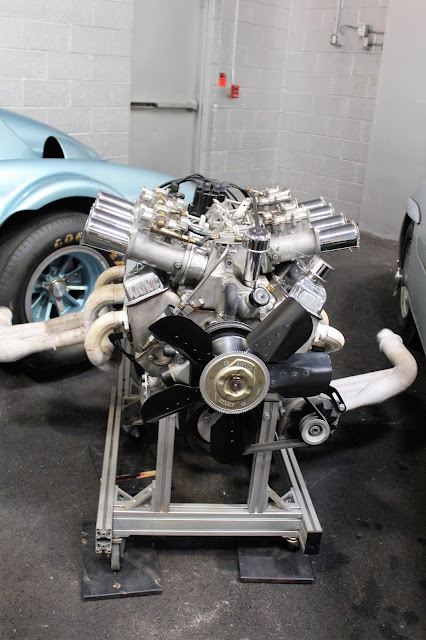 GS002 was owned by a collector who recognized its value and had an exact replica body and engine built so he could go vintage racing without risking the originals and these were taken off when the car came to the museum, with the replicas on display as well. A great story and it was a great weekend in Philadelphia.